The UFC’s penultimate event in November kicked off in the early morning hours in North America, with the first bout in Beijing, China hitting the Octagon at 3:15am ET, but fans who got up to catch the action well before the crack of dawn were treated to a collection of entertaining clashes. Featuring a number of emerging talents both from within the Pacific region and abroad, Saturday’s UFC FIGHT PASS Prelims included several promising athletes facing the toughest tests of their careers as they looked to close out their 2018 fight campaigns on a high note. Here’s a look back at the action that transpired inside the Octagon. Entering off a loss to Jordan Mein in July and having struggled in his last four outings, Morono was looking to get back to the form that saw him win each of his first two Octagon appearances during his career-best seven-fight winning streak. 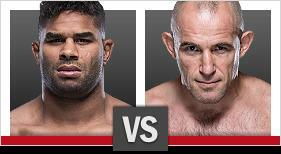 The welterweights spent the opening five minutes trading on the feet, with Morono getting the better of things. The Texan landed several big overhand counters as Song waded in and he bloodied the Chinese fighter with a short lead elbow midway through the frame as part of his strong start. It was more of the same in the second, with Morono opening by landing a flush spinning backfist before spending the rest of the frame keeping Song guessing. Though a clean right hand got through for Song late, Morono wore it well and remained in control entering the final round. Although Song had a little more success in the third, his gas tank started to run dry and Morono continued to be aggressive. Late in the frame, the fight was paused due to an inadvertent eye poke. Restarted with 30 seconds left, the duo fired hands at one another through the final horn, leaving the outcome in the hands of the judges. All three officials saw it the same way, awarding “The Great White” the victory. Just 22 years old, Wu was making her second trip into the UFC cage, looking to rebound from her debut loss to Gina Mazany last November in Shanghai. Originally scheduled to face Shana Dobson, “Mulan” instead shared the cage with Mueller, an undefeated flyweight up-and-comer training out of Alliance MMA in San Diego. Following an even start to the contest, Mueller timed a right hand perfectly that put the off-balance Wu on the canvas, but when she dove in search of the finish, the 22-year-old Chinese fighter quickly locked up an armbar and drew the tap. After struggling to find success at heavyweight in their four combined Octagon appearances, Hu and Coulter made the move to light heavyweight in advance of their meeting on Saturday in Beijing. Unfortunately, Coulter missed weight by two pounds, turning this one into a catchweight affair where someone was guaranteed to come away with their first UFC victory. Fighting with far more patience, but still brandishing thunder in his hands, Coulter weathered an early clinch battle to showcase his power in the second half of the round, opening a cut over Hu’s right eye and putting him on the canvas with a big right hand. But the young Chinese wrestler wore it well and continued pressing forward, leaving the “Daywalker” looking slightly dejected as the horn sounded to end the first. Hu closed the distance to start the second, using his Greco-Roman wrestling background to pin Coulter to the cage and grind him down, but once again, it was the American getting the better of things as they broke into space. While Coulter threw heavy head shots, Hu attacked with low kicks, stiffening the Texan’s lead leg and forcing him to switch stances to avoid taking more punishment. Late in the frame, twin one-twos crashed home for Hu and were followed with a switch knee that backed Coulter into the fence, sending the close contest to a third round. Right away, Hu went on the offensive, keeping Coulter guessing as he came forward, mixing up low kicks with body-head combinations that allowed him to close the distance and work inside. Coulter responded with a pair of quality elbows in tight, but every time he backed Hu off, “Totoro” responded, leaving the judges with the difficult task of determining the victor. After three losses at heavyweight, Coulter finally landed on the happy side of the results, coming away with a clean sweep of the scorecards to hand Hu a second straight defeat. Once considered the top strawweight in the world, Aguilar struggled with tough matchups and myriad injuries at the outset of her time on the UFC roster. But the American Top Team fixture returned in July with a dominant effort against Jodie Esquibel and looked to build on that showing on Saturday. In order to do so, she would have to get through Zhang, an impressive talent who earned a lopsided decision win over Danielle Taylor in her promotional debut and carried a 17-fight winning streak into this one. Almost immediately, a cut appeared over the right eye of Aguilar, opened by a slicing elbow from Zhang before she took the fight to the canvas. Landing in side control, the streaking Chinese upstart worked over the veteran with elbows, transitioning into mount and attacking with a triangle choke as “Jag” looked to slip free. After adding in some elbows from bottom, Zhang switched it up, cinching in an armbar that forced Aguilar to quickly tap and give “Magnum” her 18th consecutive triumph. Liu pushed his winning streak to eight with an impressive showing in his UFC debut back in July, sweeping the scorecards in a one-sided contest against Polish veteran Damian Stasiak. On Saturday in Beijing, the 25-year-old bantamweight prospect squared off with Day, a Hawaiian newcomer on a three-fight winning streak eager to add his name to the list of tough, entertaining, must-see Hawaiian competitors plying their trade inside the Octagon. Liu’s training at Team Alpha Male showed in the opening frame, first as he used a caught kick to force Day to wrestle and then when he attacked a guillotine choke along the fence that momentarily appeared tight. But Day survived and finished the round as the aggressor, setting up an entertaining middle stanza. Listening to the advice of his corner, Liu used short, crisp combos to close the distance and take the fight to Day to start, searching for a way to get the action to the floor. The Hawaiian wanted no part of it though, scrambling away and forcing the Chinese bantamweight to engage him on the feet. As Liu started to tire, Day began to open up on the feet, mixing body-head combinations and switching between punches and kicks, keeping Liu guessing and taking more than he was giving. Late in the frame, a straight right hand put Liu on the canvas, giving Day all the momentum heading into the third. While Day started the third on the offensive, a straight right hand put him on the canvas and gave Liu the opportunity to attack with a D’Arce choke. Although Day defended well, the Chinese prospect stayed on the attack, taking Day’s back and peppering him with punches as he looked to set up a choke. Once again, Day remained calm and kept Liu from securing the finish, popping to his feet at the final horn, while the Team Alpha Male representative celebrated as well. After the nines and tens were tallied, it was Pingyuan who landed on the happy side of the split decision verdict, collecting his second UFC win in as many appearances and extending his winning streak to double digits. Much like Song Kenan, Yan used her first two appearances under the UFC banner to establish herself as one to watch whenever she steps into the cage, posting a pair of victories over Kailin Curran and Viviane Pereira to extend her unbeaten streak to eight. After starting her career with five straight victories — including wins over Invicta FC title contender Minna Grusander and Chanmi Jeon in her initial foray into the Octagon — Japan’s Kondo got caught with a wicked kick to the body last time out against Poliana Botelho that resulted in her first professional loss. Now eager to get back into the win column, she ventured to Beijing to see if she could bounce back and halt Yan’s run of success. Yan immediately took the fight to Kondo, throwing in combination and connecting at a high clip from the beginning. Though Kondo tried to come forward, Yan was there with counters, getting the better of nearly every exchange over the opening five minutes. It was more of the same in the second, as Yan continued to allow Kondo to initiate the skirmishes while landing at a higher clip. Though the Japanese veteran had a little more success, “Nine” remained in control at the end of the second stanza. While Kondo showed her toughness and mettle by continuing to enter into the fray, Yan’s commitment to throwing combinations remained the key factor in this fight over the final five minutes. When Kondo would land one, Yan would respond with two or three of her own, often carrying far more force. 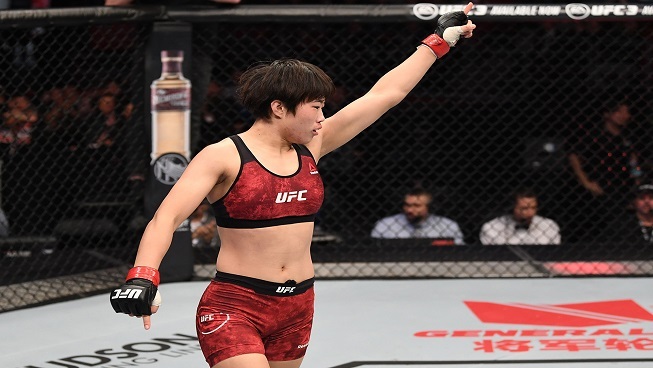 From start to finish, Yan controlled the action with her volume and power and the scorecards reflected that, as the Chinese upstart picked up her third UFC victory and extended her winning streak to nine with the unanimous decision win. Middleweights who caught losses in their first trip into the UFC cage collided in the second bout on Saturday’s preliminary card as Wales’ Phillips locked up with charismatic Texas native Holland. 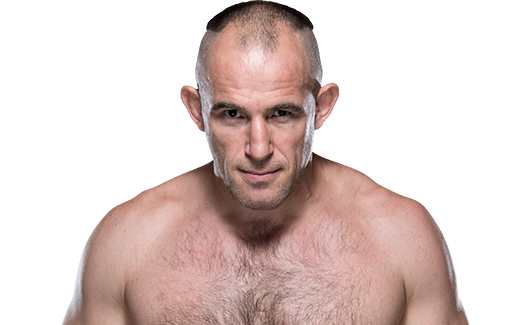 Injuries scuttled Phillips’ first two scheduled bouts and then when he did return, the 33-year-old suffered a first-round submission loss at the hands of Contender Series alum Charles Byrd. 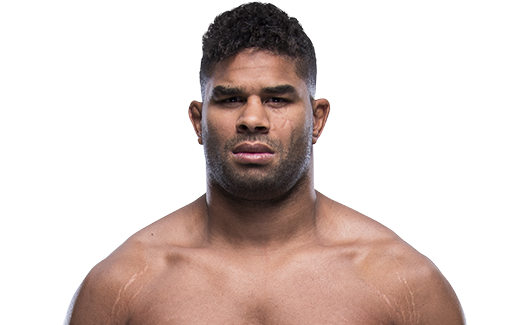 Holland’s initial appearance wasn’t all bad, as the Fort Worth native dropped a short-notice decision to veteran Thiago Santos in an entertaining clash at UFC 227 in Los Angeles. Holland made full use of his height and reach advantage, fighting long and attacking Phillips with a series of kicks from range. A front kick to the body made the Welshman double over and sent “The Trailblazer” searching for the finish. While Phillips was able to recover, Holland remained in control of the action, working in space and hitting “The Welsh Wrecking Machine” with varied attacks through the horn. Out of the corner to start the second, Phillips sat Holland down in the center of the Octagon, prompting him to press forward looking to follow up. But Holland did well to cover up and avoid any further damage, clearing his head and finding some offense of his own, investing more in the kicks to the body and mixing in short, peppering punches along the way. After a touch of gloves to start the third, Holland quickly spun Phillips to the floor, unloading with short punches that forced the Welshman to cover up. Securing back mount, Holland patiently looked to fish his arm under the neck. While Phillips defended and got to his feet, the Texan instantly put him back on the mat. Every time Phillips defended and escaped, Holland responded with another attack, finally getting Phillips’ back and sinking in the rear-naked choke to secure the finish. Saturday’s opener was a homecoming for one combatant and the debut of another, as Smolka returned to the Octagon for the first time since UFC 219, while Su made the walk for the very first time. An all-action flyweight stalwart in his first tour with the company, a four-kid skid resulted in Smolka being released earlier this year, but the Hawaiian took care of some outside the cage issues and registered a trio of stoppage victories to get the call back here. Across the cage, the 22-year-old Su looked to rebound from a late October loss and start the night off right for the Chinese contingent competing on Saturday. Right out of the chute, Smolka took the fight to the canvas, diving on a takedown. While Su defended well initially, the Hawaiian veteran managed to finish a single leg and secure top position, softening up the Chinese newcomer with punches before taking his back in a scramble. Smolka spent the remainder of the frame alternating between searching for a choke and smashing Su with a torrent of strikes that brought referee Thomas Fan in for a closer look. Although Su survived the wave of offense from Smolka at the end of the first, he was right back on the canvas at the outset of the second. This time, however, Su was the one on the offensive, landing a series of elbows and threatening with submissions and sweeps. But in the midst of a scramble, Smolka attacked Su’s arm, securing an armbar and forcing the neophyte to tap out, making his return a triumphant one.